'Birds of the Indian Ocean Islands' is the first comprehensive guide to the bird life of a region that embraces Madagascar, the Seychelles group, the Comoros and the Mascarenes (comprising Mauritius, Reunion and Rodrigues). 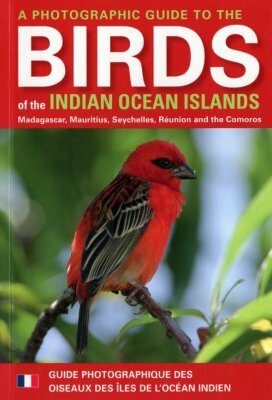 Together, these magical islands and the warm waters of the surrounding ocean host a total of 359 regularly encountered species, many of them endemic to the area, and all of them fully described here in clear, concise text. The species entries, which are accompanied by up-to-date distribution maps, highlight identification features, preferred habitats, current status and vocalization. Each species is beautifully illustrated to show plumage details. A special chapter discusses the practicalities of birding in the region's main locations. The plates, of which there are 71, have been superbly researched and executed by Norman Arlott, Hillary Burn, Peter Hayman and Ian Lewington - among the world's leading bird artists. Paperback - 128 pages.